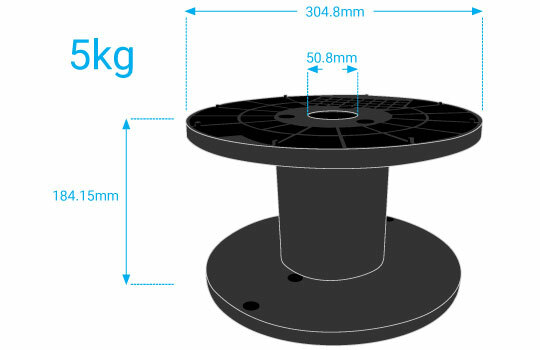 3D printer spools come in many different styles and sizes. 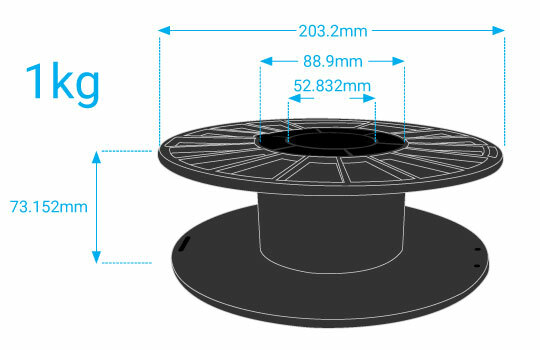 Most 3D printers will accept spools that fall within a set of industry accepted standards. 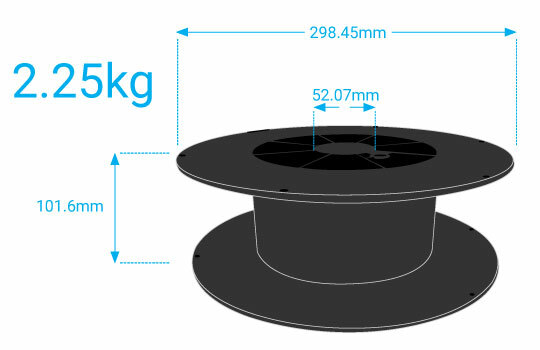 Our spools are designed to fit most 3D printers that accept a standard spool size. 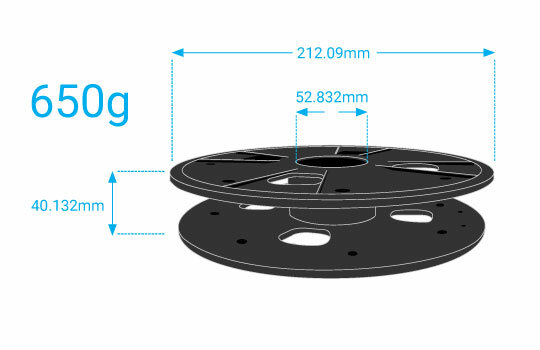 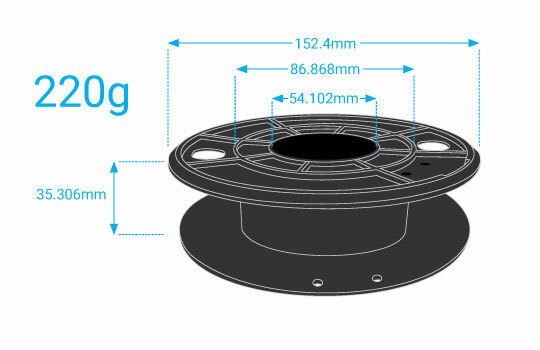 We have small 220g filament spools and large filament spools that contain 5kg all the way up to 25kg depending on the material and diameter.